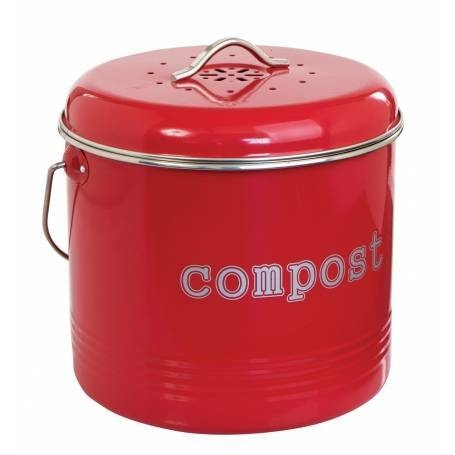 This stylish 6.5 litre metal compost bin is perfect to stand on the bench to hold your waste until emptying. It has a special filter in the lid which eliminates odours and can be easily replaced. This bin is also available in white.